With the 2015 season of Redline Time Attack leaving me with a blown engine, I had my work cut out for me heading into the first round of 2016. I had 4 months to rebuild the engine, transmission, rear differential, run new fuel lines, and strip as much weight as I could. This timeline was certainly doable, however, spending roughly 60 hours a week working simply to afford progression of the build made things a bit more difficult to say the least. 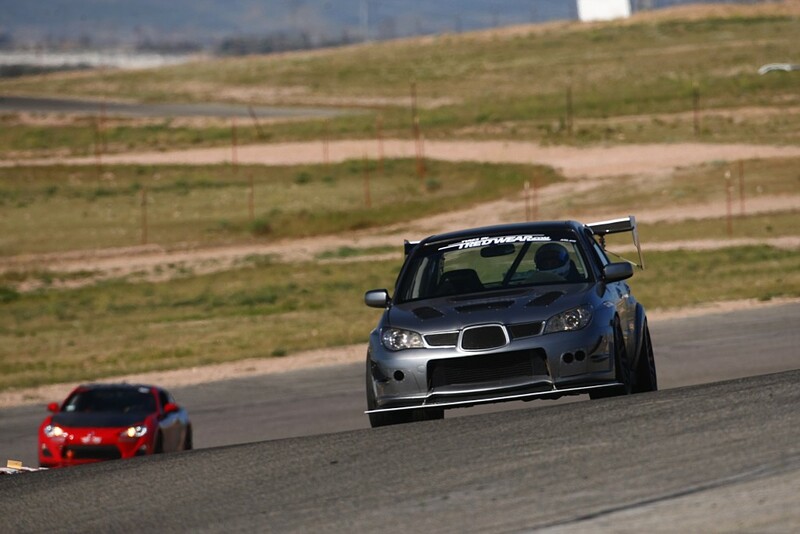 Once I made the transition from racing motocross to time attack and drifting, anything shy of complete dedication and commitment has never been an option. Building, tuning, and racing cars has offered highs that are higher than I’ve felt with any other sport, and subsequently, the lows hold that same power with the ability to crush you and make you second guess why you do it in the first place. The amount of work that goes into always preparing for the next race isn’t for those who aren’t 100% committed, and it’s something I’ve developed an immense amount of respect for. Despite the countless hours spent in the garage over the past 4 months tearing down and rebuilding the car piece by piece, I still ended up 90% complete due to serious power steering issues. At about 1am the night before race day the towel was officially thrown in as myself and others were all out of ideas for bringing the steering back to life. The plan for race day was simply to show up, drive slow, attempt to get a few points, and come home in one piece. To say I felt defeated would be an understatement. What I had spent hundreds of hours building over the past several months wasn’t meant to go slow, it was meant for war. 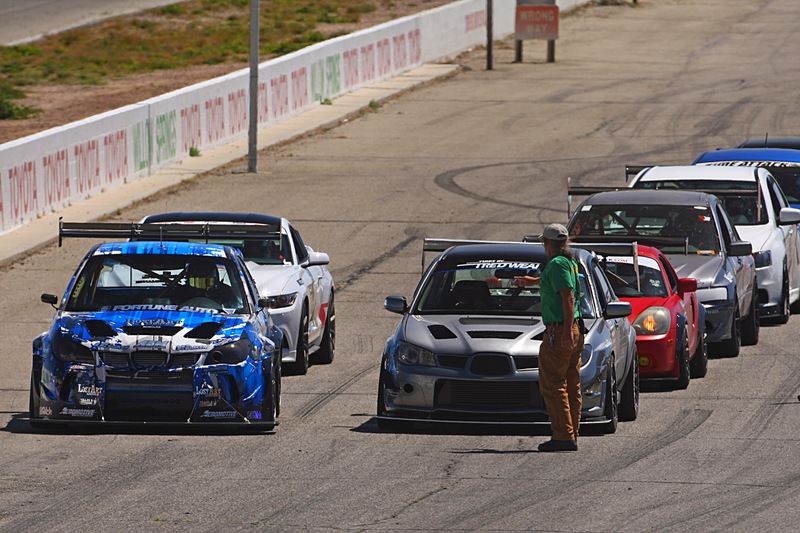 Arriving at Willow Springs International Raceway Saturday morning with a car that I knew wasn’t prepared was a new and uncomfortable feeling for me, but I wasn’t about to sit this one out. After unloading the car, getting through registration and tech, it was now time to suit up and head out for qualifying. The second my tires touched the tarmac I was immediately reminded that my steering wasn’t happy as it whined, moaned, and practically screamed “DON’T TRUST ME!”. With that being so vividly clear, I began cruising the first lap at about 40% effort. The power being produced by the new engine on E85 was amazing, and the amount of new found corner grip from the drive train work was absolutely incredible. A few laps into qualifying, I was now driving at about 60-70%, feeling out each corner and beginning to identify just how much my steering was trying to kill me as it violently shook within my grip fighting me at all times. After about 5 laps of qualifying, I called it quits and headed off track with the steering screaming at me, and a windshield covered in power steering fluid. Once back in the pits I opened the hood only to find that my steering fluid was foaming and expanding so much that it was now puking out of the reservoir and up through the hood louvers. I cleaned everything, especially the windshield since I’d prefer to see clearly out of it… and wrapped the reservoir with a couple rags to limit the oily spray. I knew that I needed to drive the car as little as possible, so I made the decision to stay in for the second qualifying session. With only 2 laps at 70% effort under my belt I headed to the first timed session where I was placed in grid spot number 2. I was pleasantly shocked by this, because I somehow managed to qualify first of my group, and second overall out of the entire field, while driving extremely reserved in a race car that could easily be described as a death trap. Now feeling some confidence and realizing “Wow, I might actually be able to put down a decent time today”, I was waived out to make it count. I began driving at about 80%, which was terrifying considering my steering had a mind of its own, but the thought of coming out of the weekend with a win was too over powering to fully engage chill mode. I had a slight mistake the first lap where missing a shift cost me about 3 seconds, so I knew I had to make the next hot lap solid. Luckily, that’s exactly what I did. I was able to put together one lap that I was fairly confident in just as the session ended. I pulled off, parked the car, and decided that I wasn’t going to run anymore that day since the risk of not leaving in one piece was too high. Once the times were posted for the first time attack session, I was pretty surprised by what I had set given my circumstances. It was the fastest time for my class, and just over 2 seconds faster than anything I was able to put down last year! The most exciting part is that I now know how much potential the car has in it! I’m extremely happy with how everything performed, except for the steering obviously, but I’ll work that out and gain that confidence back in no time. After feeling a wave of relief due to the time I had set, I began packing everything up, since risking anything more just wasn’t worth it at this point.